Update 4/23/15:Max will no longer deal with me and my questioning. Assume no interview. I am having an email back and forth with Max Ratt about two firefighters he says he knew on 9/11 that were listed as deaths on 9/11, namely Keith Glascoe and Frank Esposito. That brings up a critical problem I have with his statement – it conflicts directly with my confidence in Hoi’s Vicsim report. While I believe it’s possible he met someone who’s name is listed in the official death list on Voicesof911.org…, the official victim site, I challenged him on the veracity of his friend’s official demise story. A quick search on the SSDI comes up empty for his friend. This illustrates a delineation between my research and most of the the other 9/11 researchers. Many accept almost all the components of psyOps, but they can’t get past the two most sacred tenets of the 9/11 deception: fabricated victims and magic weaponry to destroy the twin towers. Without victims and magical weapons, we have a simple demolition with a very big fat fairy tale of a story, courtesy of the most powerful media on this earth. As long as people accept the two most crucial parts, they’ll be forever fooled by this and all future psyOps. Let’s use this thread to start going through the SSDI and the voicesof911.org… website. Check the guestbooks of the vicsims. There is a paucity of grieving friends and family, almost 14 years later. Post your findings in the comments. If we do a few a day/week, we can do more to expose the heart of this still beating 9/11 beast. This entry was posted in 9/11, Cluesforum/September Clues, Deception techniques, Max Ratt on April 24, 2015 by ab. Yes, for the record I knew Keith Glascoe PERSONALLY! He WAS into acting and he WAS an active NYC firefighter. I was told by his close friend(s) that he died on 9/11 IN THE TOWERS! I am personal friends with several people who knew him more closely than I did and I am STILL in contact with those people today. I met Keith in the late ’80’s when he was working security at a small nite club in Greenwich Village Manhattan. The club was named “Peggy Sue’s” and was owned by several former NYC Firefighters. Two of the owners of the club were Pat Fahey and Terry Quinn. They are quite well known New Yorkers/Restauranteurs/Club Owners and I’ve ran into Pat recently and he is still around and can positively confirm Keith’s existence and the story of his demise as well. Well, there you go. We’ve found another one alive. Your story is credible to me, Max, and seems to confirm this. Glascoe is probably played by a real actor, now in hiding, with a different name, who briefly played a FDNY firefighter, contributed his face (and possibly given legal name) to the Vicsim for face parts of his surrounding fake firefighters. Glascoe was a former bouncer and an actor. That strikes me as a perfect profile. I believe the story all-the-more, as I have a similar one. I know a (fairly well-known) New Yorker myself. Matthew Caws, the singer and songwriter with the band Nada Surf is currently partly living in Cambridge England where I am. He’s a mate, as we say here. We’ve hung out and written songs together. Shared stuff. He doesn’t even agree that 9/11 was an inside job. He went there for a few days, he tells me, but he didn’t like it ! He’s from an academic family and he’s a bit of a conformist. He’s a very nice guy, but he’s a helpless dupe on that one, for me! Anyway, when it got to me talking about simulated victims on 9/11 he said that he knew, personally the mother of a good friend who died on one of the planes that day. It turned out she too had been an actresss. An old Hollywood actress. I said to him, what I’ll say to you, Max. I think they’re still alive. He didn’t believe me for a second, and maybe you won’t entertain the idea, but I don’t think it’s that far fetched. Real actors who then faked their deaths on 9/11 was an important part of the operation. It gives it real credibility. Whilst I’m satisfied that many of the victims were completely simulated, there would have to be s faked deaths of real people. Definitely. With my friend Matthew, we had to simply agree to differ, with his acknowledgement that ”Well, yes, I suppose, I should hope you’re right ”. He doesn’t believe it for a second though! But yeh, it makes me feel good to find people alive, and your story, credible as it reads to me, seems to confirm that we’ve found a fire fighter from 9/11 alive. Thank for your openness about this. We need these conversations, to learn some good news! Tom, which actress? I’d like to do digging on that one too. Almost like a stub placeholder. Max Ratt, how well did you know Keith? Would you swear Keith was his given and legal name? Did you ever call him by his full name or observe his full name Keith Alexander Glascoe? I wonder if he disappeared under an assumed identity or not. Great research and commentary on the Keith character, Hoi. Worth repeating in the “Actors and Simulated Victims” threads, but for now I feel this idea flows more accurately with nonhocapito’s recent musings. Case in point of their wobbly “vision” of piracy, the recently unearthed vicsim character of “Keith A. Glascoe” (maybe CGI-ish but to me more likely played by a real actor that was continually credited under that possibly fake name) was of a family of actors. His children reportedly were also getting actor training before the 9/11 disappearing act. One gets the sense there is a ‘mob’ feeling to these two-bit characters who wish to please the Don Corleones of Hollywood, like the producers and directors and certain actors above the basic tier of “fame slave drone”. On the actress, I’ll have to ask and get back to you with a name, Hoi. I met Keith more than 10 years before 9/11. We called him Keith then and always. I didn’t know his middle name and never called him by it. You are WRONG about Keith Glascoe … PERIOD!! I’m beginning to think you are a piece of garbage, also. …and can positively confirm Keith’s existence and the story of his demise as well. Well to be fair xilef , he says he saw him and knew him. That, for me, is a positive confirmation, to an extent. He knew him by name and sight and saw him at work over a period of time. Surely, this is what we’d expect, at least ? This is an element which makes the hoax so credible. He was real , as real as anyone is ! However, he says he can also confirm the story of his demise. Less credible, of course, if he means he can confirm the story was real. In fact, in this instance, highly unlikely, unless he’d been in the towers on 9/11 as they collapsed ! I don’t think Max is being that stupid, though. Literally speaking, of course, he can” confirm the story of his demise”. He’s heard the story, first-hand probably from people that were close to the victim. There is a story, they have it. He knows it and can confirm it. The thing is, that’s all it is. A story. I don’t deny at all that he existed, Tom. Demise – well, I could confirm it because I read it in the New York Times… or his “demise” could be confirmed by someone who saw him in a new identity. Who knows? Facebook is the new way to confirm a “demise”…. I met Keith more than 10 years before 9/11. We called him Keith then and always. I didn’t know his middle name and never called him by it. You are WRONG about Keith Glascoe … PERIOD!! I’m beginning to think you are a piece of garbage, also. Keith was IN THE TOWERS when they came down. Many Firefighters died inside. Keith was one of them. I am sure of it. Please don’t resort to ad hominem attacks. Tom is a valued member here, and is sincere in his questioning. Once more I ask you to review the outstanding post/comment by Hoi Polloi on your friend and respond it to point by point. We are sincere researchers of 9/11 here and not out to disparage anyone, including your friend Keith. I’m not sure if you’re implying I’m a “captured Spook” or maybe I’m not following your incoherent babble. Needless to say that’s a ridiculous allegation. In addition, YES I DO believe the driver of the Limo, William Greer, turned and Blasted JFK in the car. Besides disparaging my analysis out of hand without anything to back it up why don’t you tell me what your belief is about JFK’s Assassination? Or do you think he’s still alive? I’d be happy to lead you to more of my incoherent babble in the JFK category, which can be found in the category drop down menu on the right side of my blog. I’ve never heard of a captured spook before, so please define it for me. I didn’t see JFK get blasted, I saw a blurry film said to be him recoil from something. I saw Ultron (the Avengers enemy) die a thousand times on the big screen last night too, and I can’t confirm his death either. Psyops are in my opinion conducted within certain limits of the law, and I doubt those that rule over us kill their own (actors), especially in plain site. *By far the most idiotic claim of who shot JFK is presented in the book Mortal Error: The Shot That Killed JFK by an entity styled “Bonar Menninger”- The book claims that a Secret Service agent named George Hickey, riding in the car right behind JFK’s limo, lost his balance and discharged his rifle, hitting JFK in the head- Priceless!!! The kids seem real enough – they all, including new partner, seem to have gone out to the Dominican Republic for the youngest’s birthday. Would a biolgical father want to miss that? It’s as if there’s no “Glascoe” side to the family from the FB comments/likes. [or relative of Leonardo Traversas for that matter] Perhaps there isn’t? Perhaps Veronica might “just come across” one with Keith in it, rather than her mum? the narrative is absurd but consistent. there’s always a little psi-op symmetry if you bother to look for it. Since he loved dressing up and playing cops, why not firefighter? Why not get digitized and play multiple firefighters, if only via an eye, a nostril, a mustache? 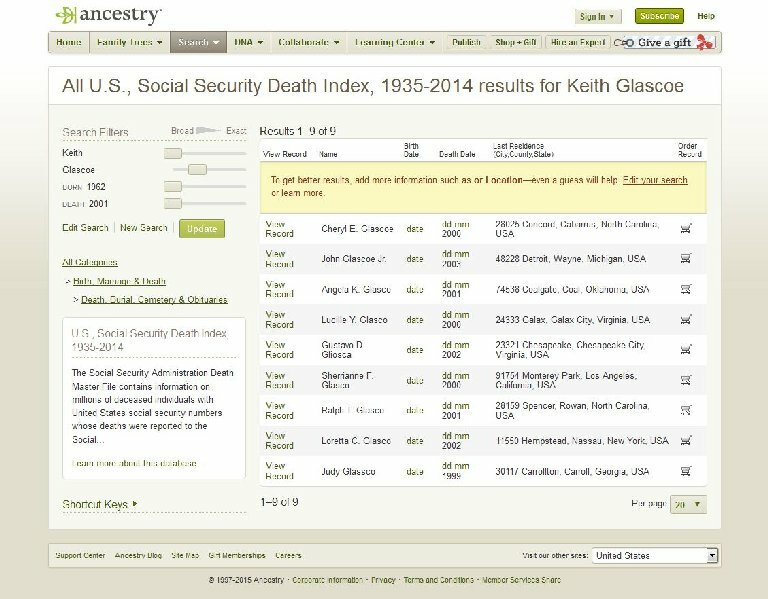 The actor credited as “Keith A. Glascoe” was unmistakably large, dabbled in acting, played a henchman in “Leon” and — if the description text is accurate — his family (including his children, provided they are real) received acting training as well. My guess is he could either disappear rather convincingly in a densely packed city or go to (southern?) Italy where the mob that protects 9/11 insiders would continue to protect him. His family can visit him on “vacations” if they haven’t done the separation already. The subtext is that they really can’t talk about it when asked because it would endanger them or at least their reputation. The fragility of the compound liar. The only time they can is when nobody is questioning them, they have the upper hand in bringing it up and framing the conversation themselves. Lies do not stand up to direct questions, they flourish under repeated telling when people’s attentions are not ready to defend themselves from it. One of the last appearances Glascoe made was a blurry background character in Rob Farber’s rather confessional (yet tiny low-budget) “Pirates of Central Park” pilot about kids sneaking around playing ‘pirates’ in Manhattan. It seems to be like that X-Files episode — another ‘in the know’ kind of pre-9/11 production about keeping crime a secret in New York. The 33-minute thing can be watched in full on Rob Farber’s active but bizarrely low-key (for the advertising industry) web site “RogueProducer.com…“. Not so bizarre when many research angles on 9/11 hoax participants end up in these places. Slightly defunct looking sites that are actually ‘word of mouth’ businesses that scrape by on unknown connections. Which are the source faces? Which are constructions? It’s good for a reminder study once in a while. Good explanation. Thanks Hoi. The minority of the vicsims that are not completely digital require quite a bit of extra explanation. If all 9/11 researchers just concentrated on this, then the whole hoax would collapse faster than the twin towers were shown to. Well, and you know what? I take back my statement. “Amateur” is too high a word for this Max Ratt fellow. I consider Simon, myself, you and others pretty “amateur” as well and I think it’s a pretty nice word to describe what we’ve been doing. There is no shame in being amateur. “Gullible” or “hypnotized” or something else might be better words for those amateur researchers who cannot be bothered to ask the tough questions just when clear evidence contradicts a theory. Obviously, we have had to always state that real people may have been mixed. But never have we seen evidence for those real persons’ deaths. And they are always connected to high profile folks. So … to say too many people would have to be involved is like saying a Hollywood movie has and can never been made.